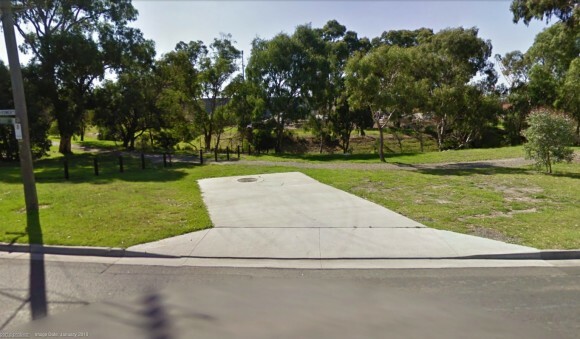 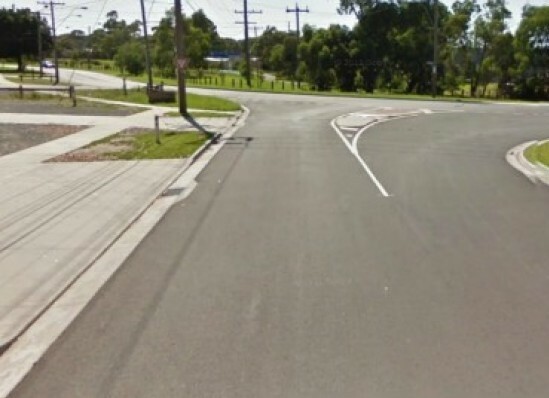 The City of Casey were undertaking the reconstruction and widening of Green Street, Doveton, a heavy industrial zone. 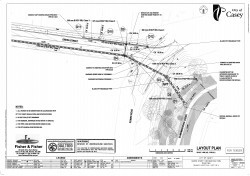 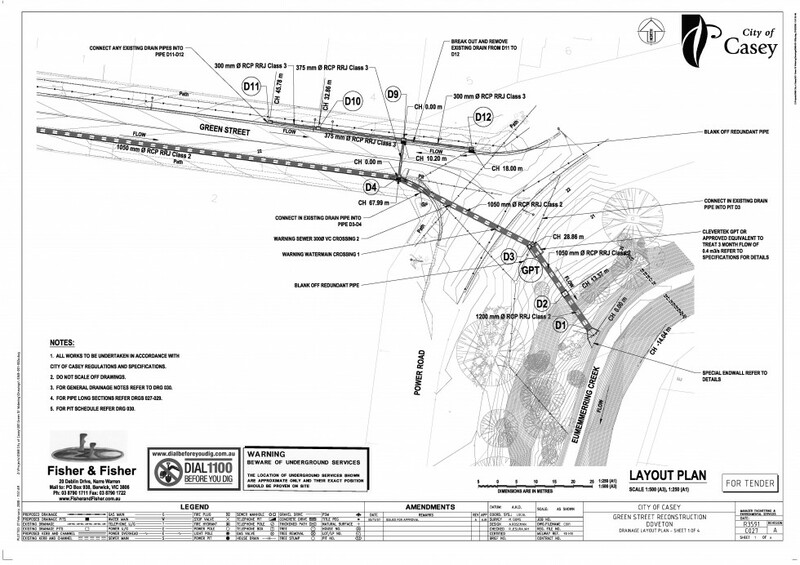 The existing drainage along Green Street was observed to have frequent flooding problems. 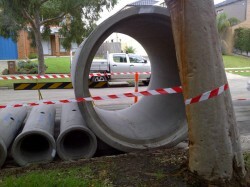 Accordingly the City of Casey required the drainage to be upgraded. 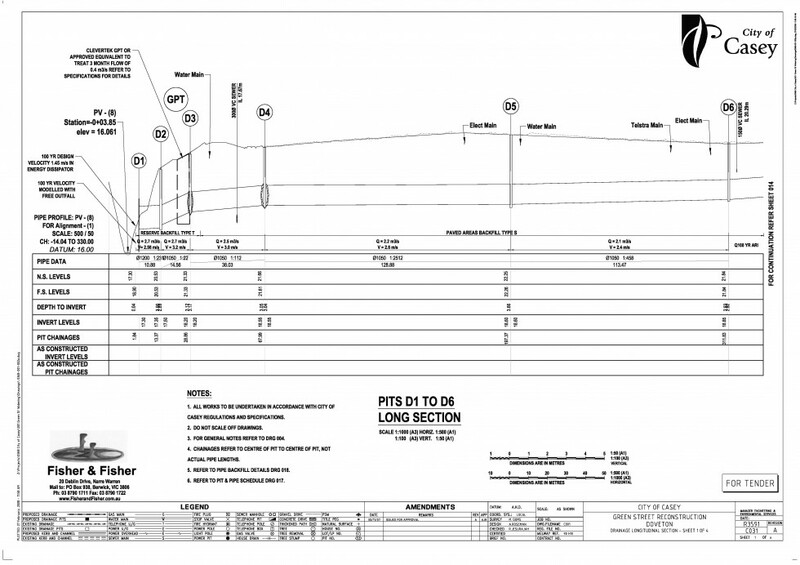 The new system had to be designed to allow its construction in conjunction with the current widening works. 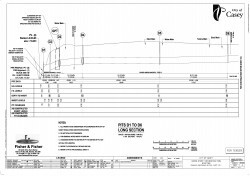 Fisher & Fisher prepared the design and construction documentation for the stormwater 100 Year ARI pipeline. 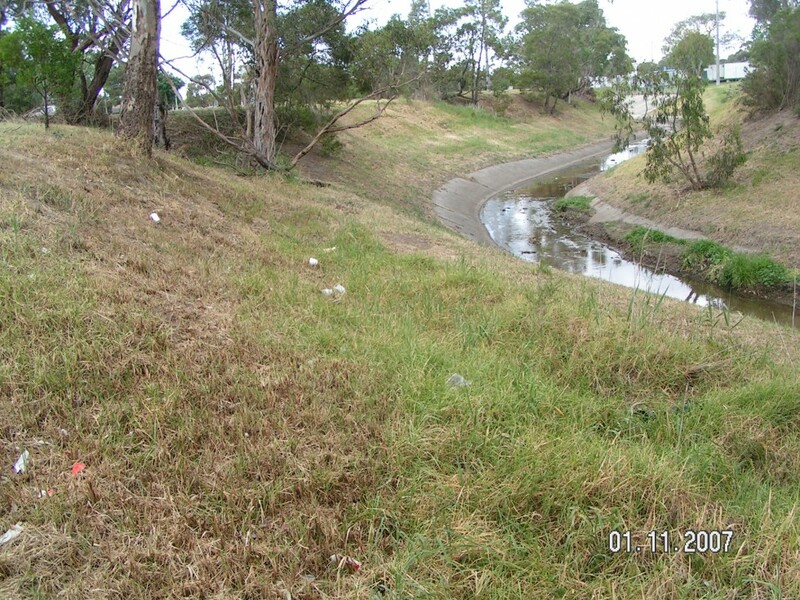 Fisher & Fisher used StormNet to undertake hydrologic and hydraulic analysis for the 5, 10 & 100 Year ARI events. 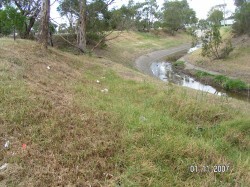 The design includes a gross pollutant trap and energy dissipater at the outlet to Eumemmerring Creek to Melbourne Water standards.